We'll leave the gridded core and range further afield. 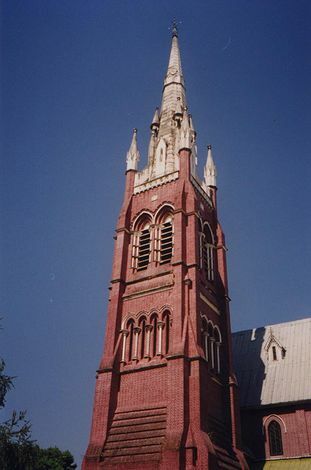 Holy Trinity Cathedral Church, just west of Scott Market and at the junction that heads north to the Shwe Dagon pagoda. 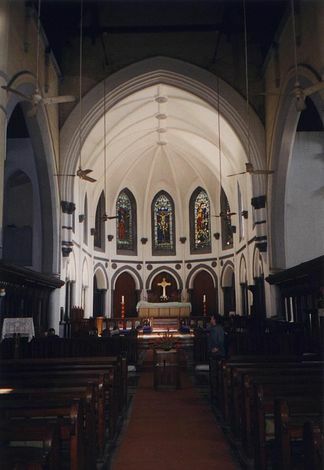 The British moment in Burma was short but long enough for plenty of churches to pop up. 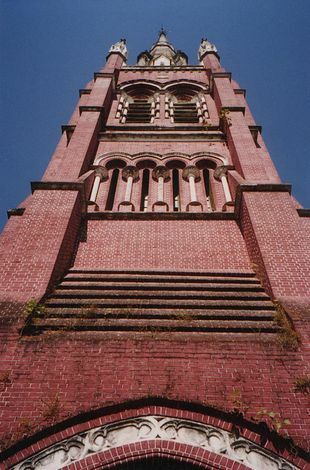 The spire of the same cathedral. 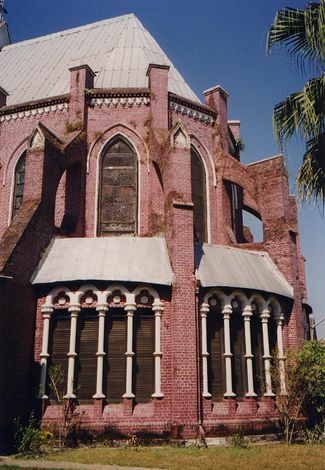 The apse. 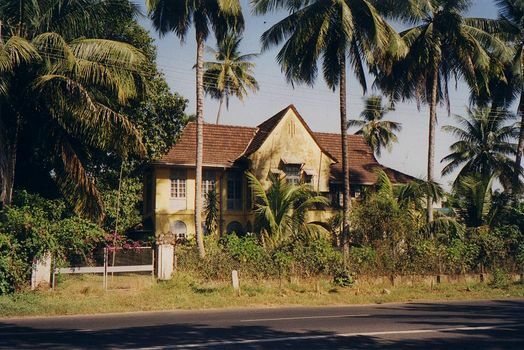 Notice the louvered shutters, a concession to the climate on the part of builders who were determined to stay as traditional as possible. 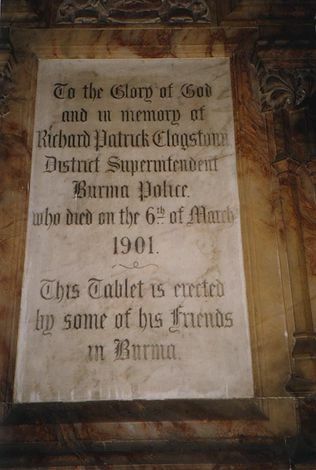 A monument inside the cathedral. 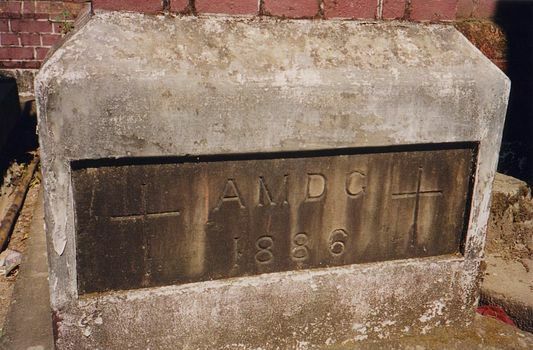 Here's the cornerstone, dated under Latin letters declaring that the cathedral was built for the greater glory of God. 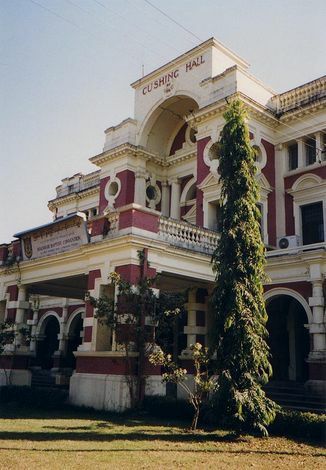 Among the many Christian missions in British Burma, this training institute of the Myanmar Baptist Convention must rank among the grandest. 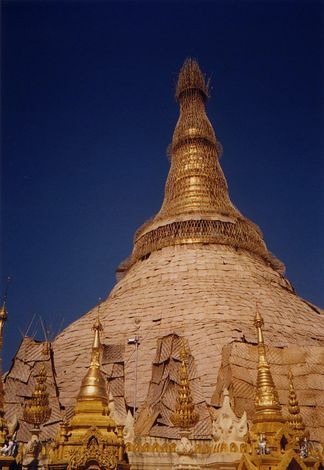 Even the Baptists recognized that the country's grand monument was the Shwe Dagon pagoda, here fuzzy behind a maintenance-scaffolding of bamboo. 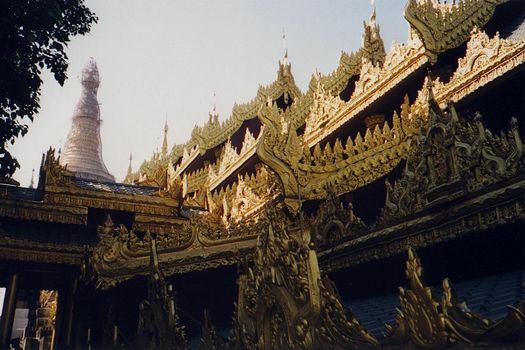 Its importance in the Buddhist world can hardly be exaggerated, and British guidebooks for a century or more have treated it with respect and attention to detail. 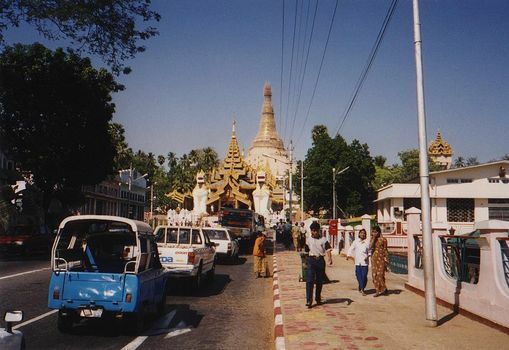 The approach to the pagoda is along covered avenues lined with shops and roofed as garishly as means allow. Yes, an elevator for those who do not wish or are unable to use the stepped avenues. 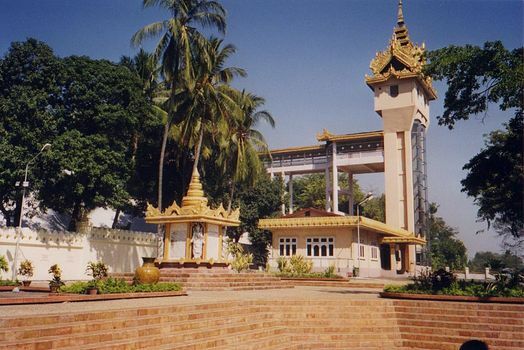 The attempt to combine modern technology with traditional architectural ornament has thrown the builders here, as is often the case across Asia and the Middle East, into a dilemma from which they emerge with almost the worst solution possible: a modern structure dolled up with indigenous ornament. 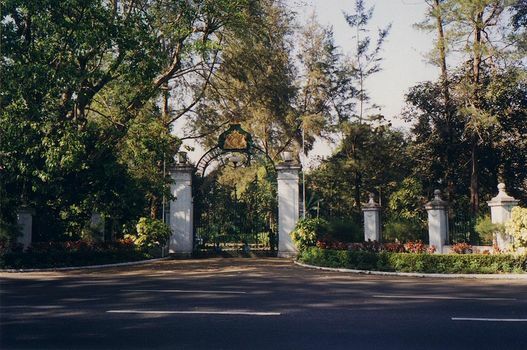 Off at the northwest corner of the old city, in the leafy suburbs of Ahlone, a still majestic side gate leads to the old Government House. Maps from the British era identify it; modern maps don't. 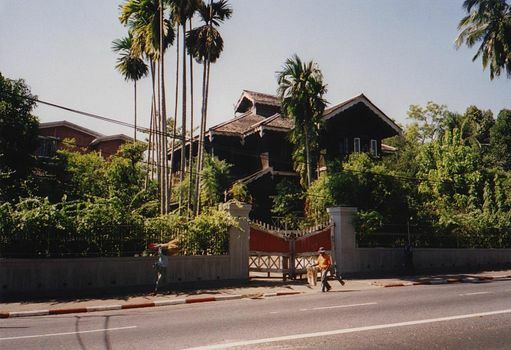 Nearby, there are many grand old homes, many now housing diplomatic missions. Another, on the more modest side. 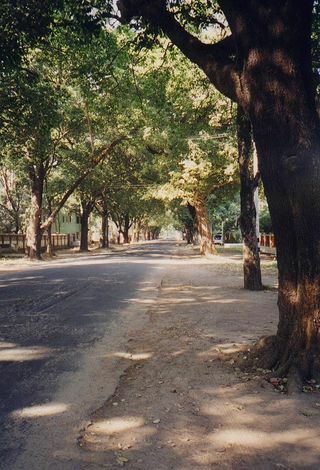 A street in the same neighborhood.